Angela Reynolds works as a freelance reporter and photographer and lives pay to pay in a small, downtown, studio apartment in Manhattan. She doesn’t know where her next meal is coming from and can only hope the phone rings and she has a job tomorrow. All of this changes when she’s hired by the New York Times to interview the thirty-year-old business tycoon, Clive Davis, and this billionaire takes a liking to her. Angela isn’t impressed by fast cars, grand gestures or the fact everyone avoids eye contact with Clive as if they’d insult a god by looking directly at him. Instead it’s the man behind the mask that wins her over. But that causes a whole new set of problems that the two, who are from two different worlds, must face. Will she be able to handle the pressure that comes from being someone of Clive’s background? Will Clive be able to withstand the backlash that may come for being with someone of a lower economic class? 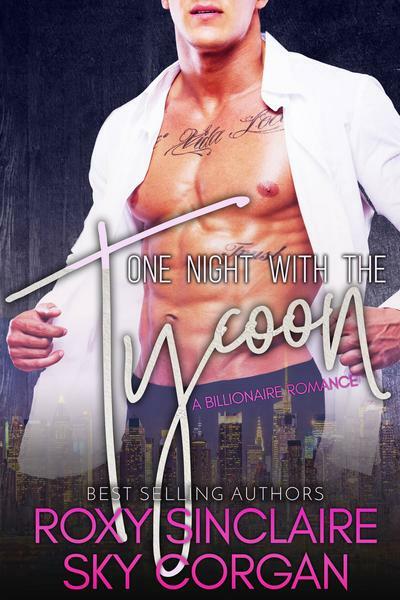 One night With The Tycoon is a billionaire romance novella. There is NO cheating, NO cliffhangers, and a happy ending!